The various artistic mediums for sculpture have their own unique characteristics that they lend to the subject. Glass is a medium that can have varied textures, finishes and colors. Glass sculpture or studio glass is one of the modern uses of this medium, which can be shaped into a decorative or sculptural element. Marble is one of the most enduring of sculptural materials and be polished to a high sheen, but glass can have a translucency and depth that cannot be achieved with marble. Glass can be decorative or functional and it has been used by man for several centuries. Phoenicians invented glass and it was extensively developed in Assyria and Egypt, but the Romans put it forward. Stained glass windows became very popular when Gothic and Norman cathedrals of Europe were built in the Middle Ages. However, modern glass art was born in Murano, Italy. 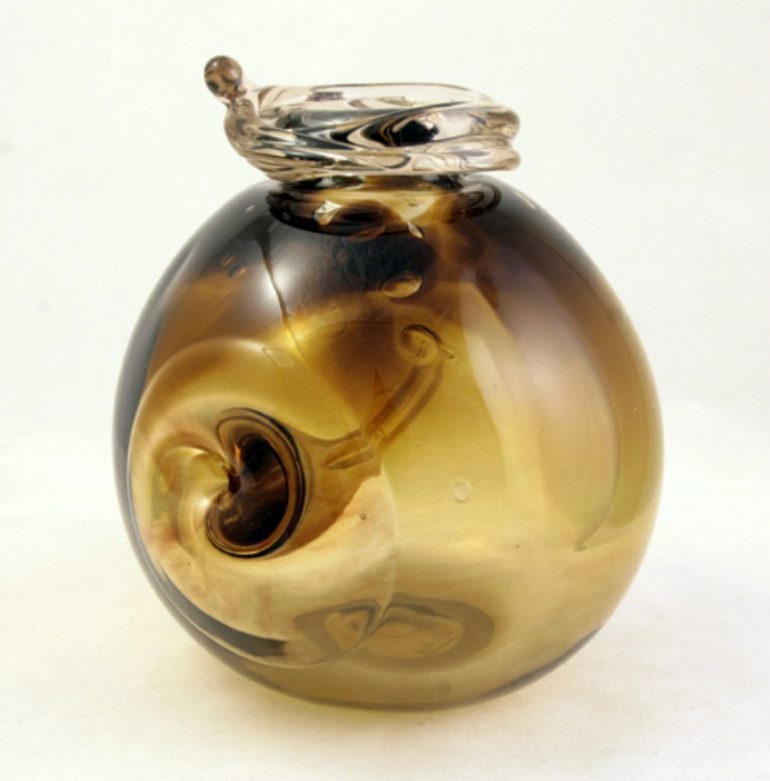 Venetian glass or Murano glass was a product of hundreds of years of invention and refinement. Glass was once used for functional items, but from the 19th century, artists created many forms of fancy glass that found a niche in decorative arts. Romans used to have cameo glass, and this was revived when neo-classical style became popular. The Art Nouveau movement saw glass being used frequently, with the rise of a handful of specialized studios, such as Daum of Nancy, Émile Gallé and René Lalique. They were the first ones to explore its uses in producing colored vases in cameo glass. This art form brings the dexterity, creativity and extreme craftsmanship of artists to the fore. Cameo glass is very precious and a luxury form of glass art. It’s created by carving and etching through fused layers of different colors of glass to produce exquisite designs, usually with white opaque glass over backgrounds of darker colors. One of the most well-known of this type of glass art is The Portland Vase that was created between AD 1 and AD 25. Producing glass art involves some common techniques such as blowing, fusing, cold working, hot sculpting, kiln casting, flame working, pate-de-verre and slumping. Glass can be cut with copper wheels embedded with abrasives or with a diamond saw as well. When etching is done on glass, abrasive substances and caustic and acid solutions are used. These materials are used after the glass has been cast or blown. These materials are extremely hazardous, time consuming and expensive to do. A mold-etch process was invented in the 1920s, wherein the design was directly etched into the mold, producing a uniform rendering of design on each piece that comes out of the mold. It reduced the manufacturing cost and colored glass became widely used, leading to the availability of cheap glassware. In the early half of the 20th century, contemporary glass art was produced mainly by teams of creative factory workers. Top of the line glass art were then produced by Kosta Boda and Orrefors in Sweden, Royal Leerdam Crystal in the Netherlands, Hoya Crystal in Japan, Gallé in France and Steuben and Tiffany in the United States. 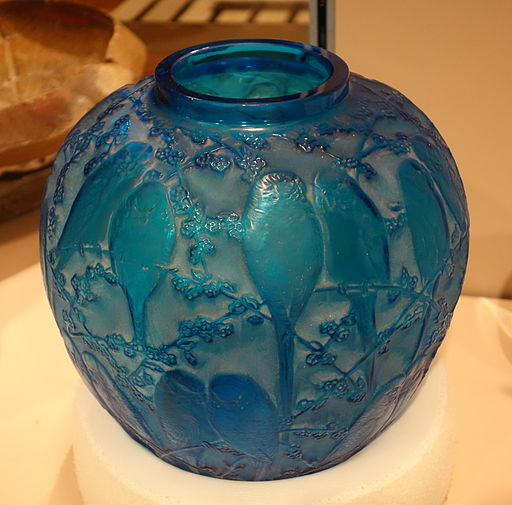 From producing mold or hand blown glass objects by teams of more than four persons, these modern studios employed several modern techniques. They used cold working (working glass at room temperature), lamp working or working glass using a torch flame, stained glass, glass blowing, glass fusing, glass casting and glass bead making. There are quite a few names of glass art designers and artists whose works are simply amazing, such as Carol Milne, Sergio Redegalli, Harry Pollitt, Jean-Pierre Canlis, Martin Blank, Ikuta Niyoko, Lino Tagliapietra, Jack Storms and Dale Chihuly. Although ancient and traditional, blown glass wherein a glass worker works in front of a furnace and shapes molten glass using hand tools and metal rods, is still one of the most popular methods. This allows the artist to improvise, and create works in various sizes. Another popular one is flame-worked glass, with the artist using kilns and torches. This method is suitable for creating pieces with many details, although there is a limit to the size that can be produced. Large glass sculptures are most produced using the cast glass technique, which could be done using a kiln, torch or furnace. This method uses a mold, which is filled with patterned, colored or clear glass. Today there is an international studio glass movement, with artists and designers aiming to create one-of-a-kind decorative object. They are also after sharing ideas and technical knowledge among designers and artists. Regional movements were established in Australia, Belgium, China, Italy, Japan, Mexico, Netherlands, United Kingdom and United States. Their inspiration came from the great works produced in Sweden, France and Italy.